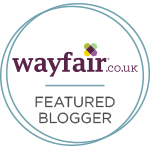 December has been one of those months that I enjoy using most of my products and I found it hard deciding on the outstanding products because I have enjoyed so many. 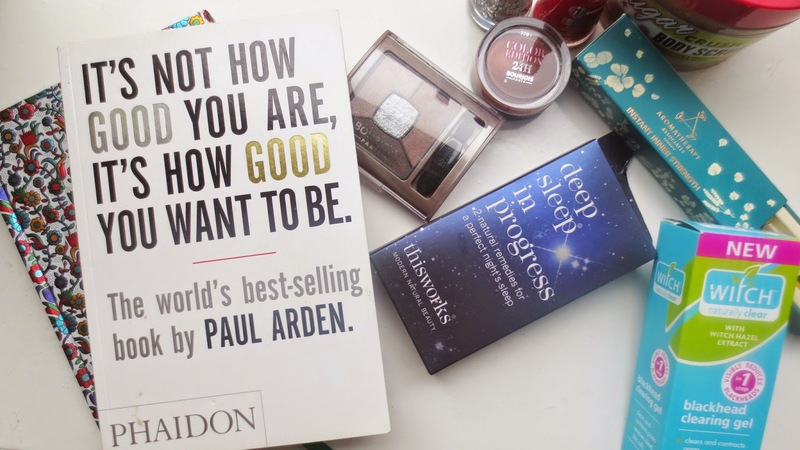 Lush, Soap & Glory, Thisworks, Bourjois and many more have been a huge highlight of my month. December I find that I use so many more products, I think its because its such a festive, exciting month and a bubble bath is essential to use all your favourite products. Lush Christmas is a must in December and I found myself buying more and more products to use. I found the perfect skin care routine this month too, using Witch skin care and I love the black head clearing gel. This product has been a huge staple in my favourites this month. I want to carry on this skin care routine into 2015. As I mentioned above Lush is a huge part of my December, I love the festive products. I found myself buying more and more over December, I have loved the penguin and Snow Fairy. Snow Fairy is a must in December, I feel lost without it. It smells gorgeous and its the perfect glittery, sweet product to pamper yourself with. Soap and Glory The Next Big thing set went on sale a week ago, I got mine online and I am so pleased I did. 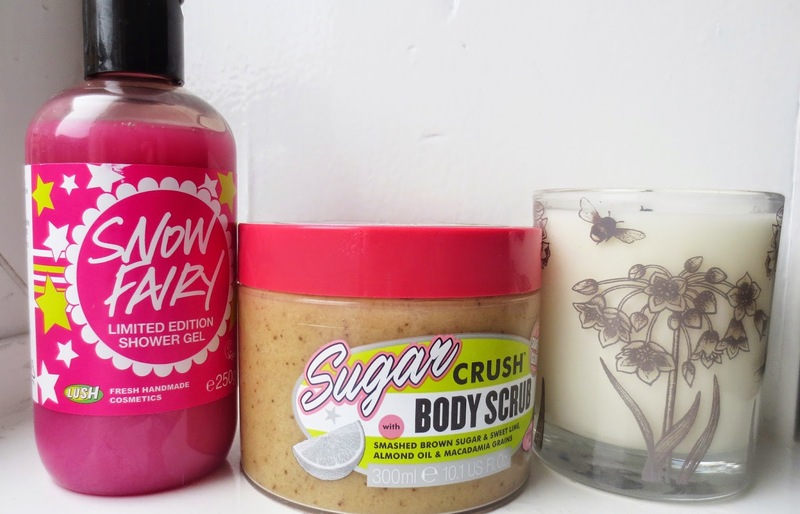 You get 10 full size products and my favourite has to be the Sugar Crush body scrub. It smells amazing and its perfect to use over Christmas, if you fancy a read here is my post on all the products in the box set. My Beefayre candle smells gorgeous, this has been something I use a small amount of but when I do light it, it makes me so happy. This has to be the candle of the year for me, such a special piece to own. 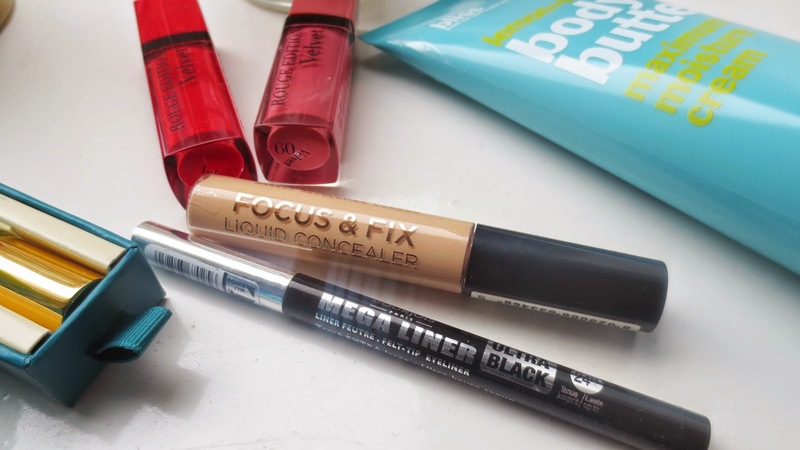 A brand that has stood out to me this month has to be Make Up Revolution, I found myself in Superdrug looking at what else they had to offer. I found this Focus & Fix concealer which works wonders, I usually only use the Collection concealer. So this is a huge step for me when changing my concealer, I have enjoyed using this one and its more than half the price of the collection one. You can pick this up for £2 which is a bargain product and it works wonders, i used this nearly everyday of December. Its such a great colour match to my skin too and it brightens up my under eyes, easy to use and it does the job well. 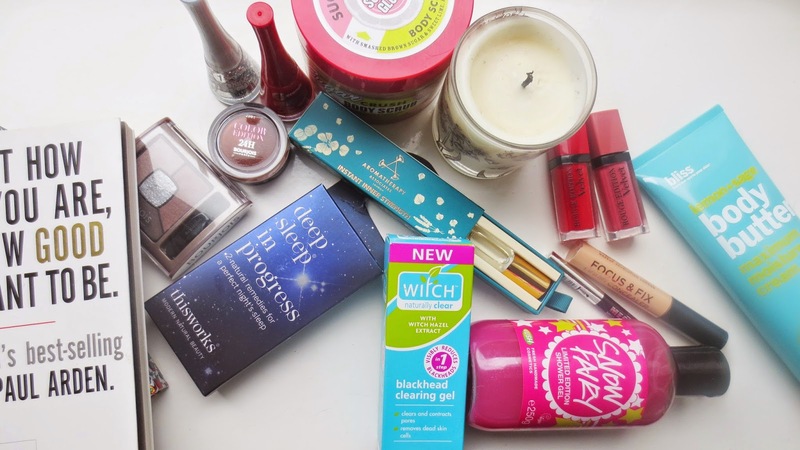 Bourjois has stood out to me this month more than any other month this year, I am in love with their Winter collection. The new eye shadow quads are gorgeous and the glitter section makes me so happy. Perfect for a festive and New Year look, easy to apply and they all look fab. The mega liner has been a game changer for me this month, it creates thick or thin lines and it looks gorgeous on. Its the easiest liner I have ever used and its creates the smoothest, most precise liner. This will be a product I use for a very long time, its a huge game changer for me and I am so pleased with how it has changed my make up. So easy to apply, so fast to apply and it glides on creating the perfect flick. When this runs out I need to run to the shops to buy another one, one of the best products I have ever used. I hope you have an amazing Christmas, I am so excited that its only 2 more sleeps away. Thank you for all your support in 2014, it really means the world to me and I hope to see you in 2015 too. 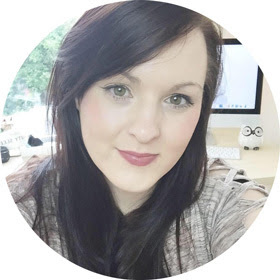 My blog means so much to me and I have so many plans for you in 2015, I hope you have enjoyed my Blogmas. 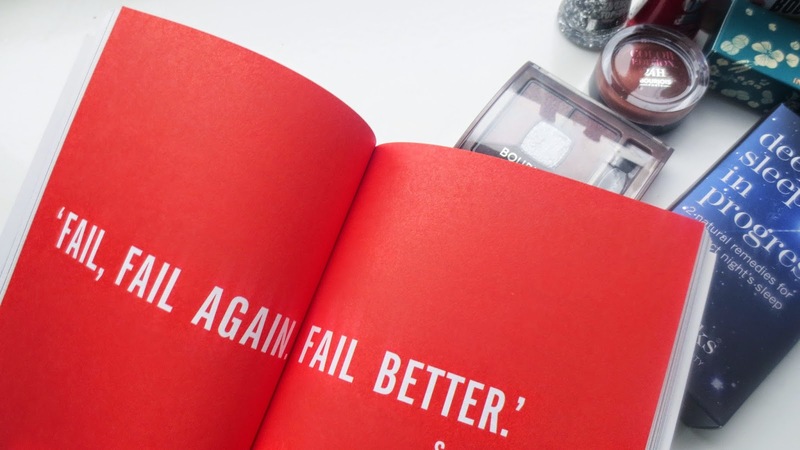 If you have only just joined in, there is 23 blog posts for you to read in December. I hope you all have an amazing New Year and I will see you soon. I might post before New Year.. I fell in love with This Works this year. And I agree about Bourjois, they have really upped their game this year! Loved this post! I really like the look of the this works product and definitely want to try out products from that brand, heard alot about it! Great favorites! I just got that Soap & Glory scrub as well, and I'm so excited to dig into it! I can't believe I still haven't tried the Bourjois Rouge Editions!